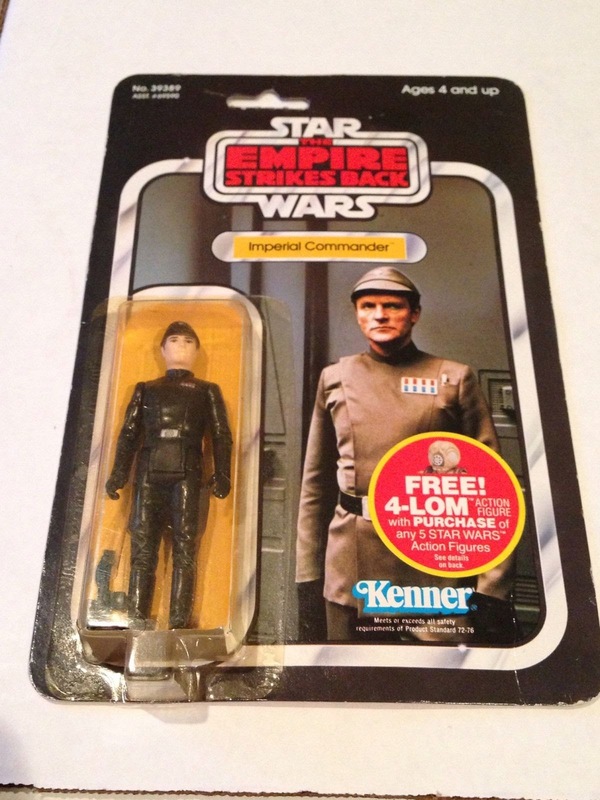 Dorky looking kids will always and forever be associated with the marketing of Vintage Star Wars toys. From their unforgettable (and usually awkward) performances in television commercials to their engaged (and at times slightly unsettling) poses in photography utilized in merchandise packaging and catalogs, these endearing little goobers were an integral component of Kenner's visual language for the product line's promotion, particularly during the first few years. This was with good reason -- they were the public representation of the franchise's key audience and consumer. 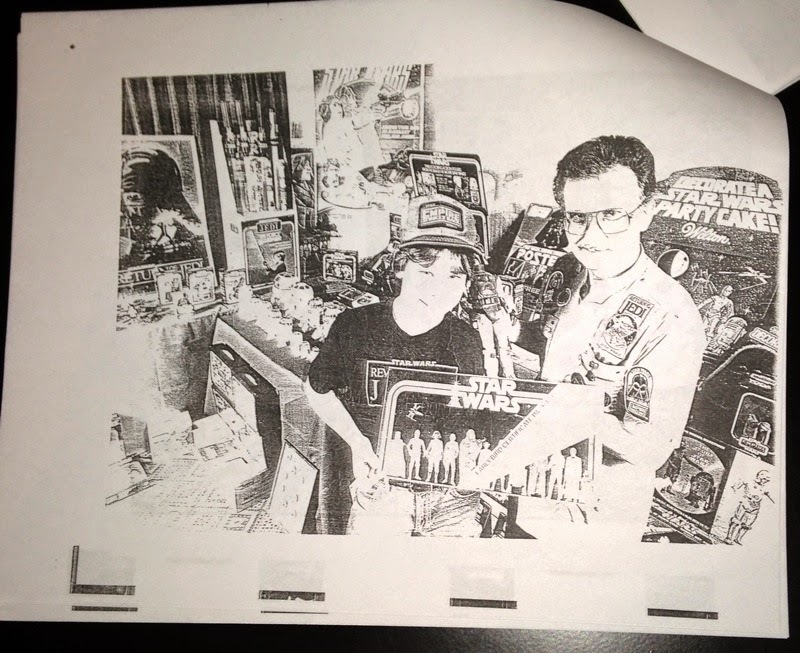 While the toys themselves are often the primary focus for collectors, this blog series -- which we'll call Kenner Kids -- will put the spotlight on the youths behind the toys. While there will be some fun being poked, it will be with harmless intent and completely celebratory in nature. Lastly, I hereby promise to dig up and post at least one equally embarrassing photograph of yours truly at about this age to even the score a bit at some point. DIP DOTS PAINTING SET (1977) - They provide the color and STAR WARS the action. When scouring the Archive for images to curate for these posts, a pattern that I had always sort of noticed became all the more clear: red, yellow, blue...red, yellow, blue. 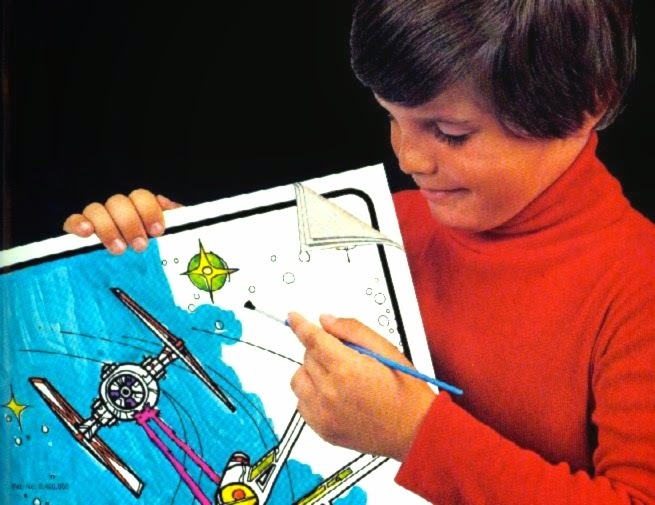 Almost every marketing image from the original Star Wars product line (and especially those featured in retailer catalogs) predominantly featured primary colors -- not only with backgrounds, but with the clothing of the kids depicted. They too were incorporated into the simple yet eye-catching color scheme that just isn't found in toy aisles anymore. 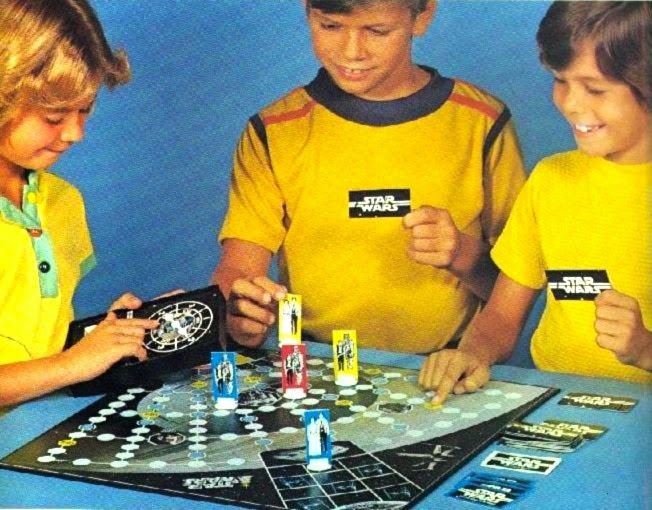 With the ESCAPE FROM THE DEATH STAR GAME released in 1977, even the backgrounds of the game pieces were primary color coordinated. Whether or not it had "all of the appeal of the movie" I couldn't tell you, as I've never played it. Regardless, this trio of yellow-clad youngsters seem to be enjoying it quite a bit. With the action figure line yet to reach their hands, they probably just didn't know any better. Ignorance is bliss. 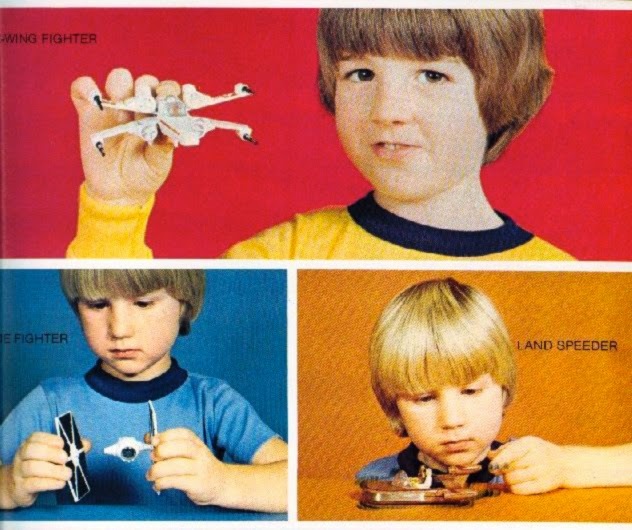 The level of excitement in these kids' expressions wanes appropriately with each of these diecast vehicles released in 1978. Perhaps an omen for the failure of the Micro Collection four years later? 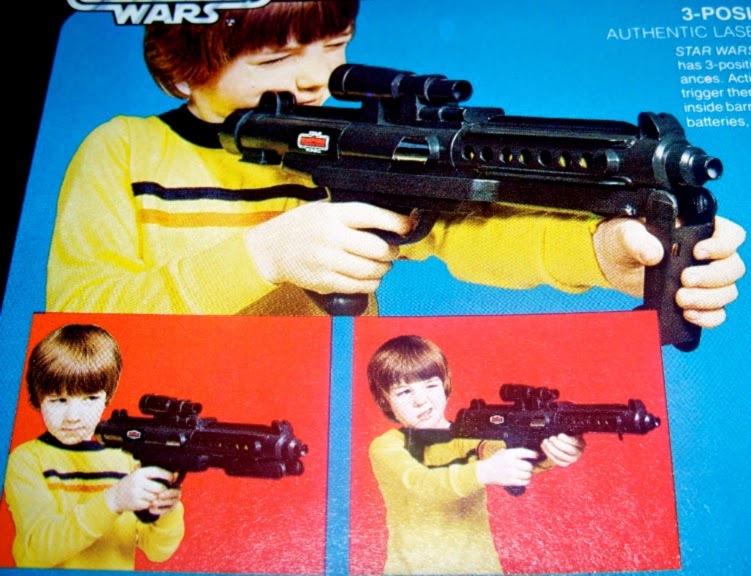 This child marksman has mastered all three positions of the 3 Position Laser Rifle: "STANDING GUARD" (top), "SNEAK ATTACK" (lower left), and..."LASER BATTLE" (lower right). Configurations for comfort are of the utmost importance when it comes to firearms. 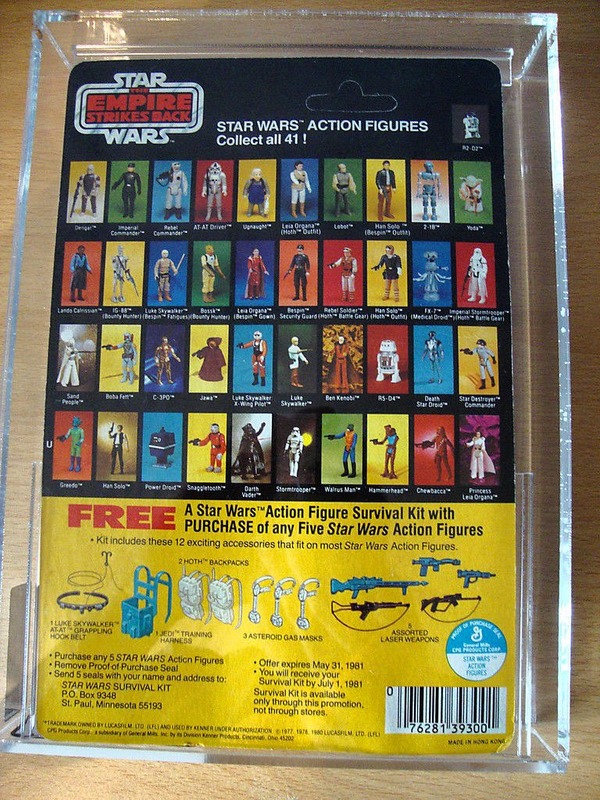 The first three images were derived from the Fall 1977 Products supplement and 1978 Kenner Retail Catalog. 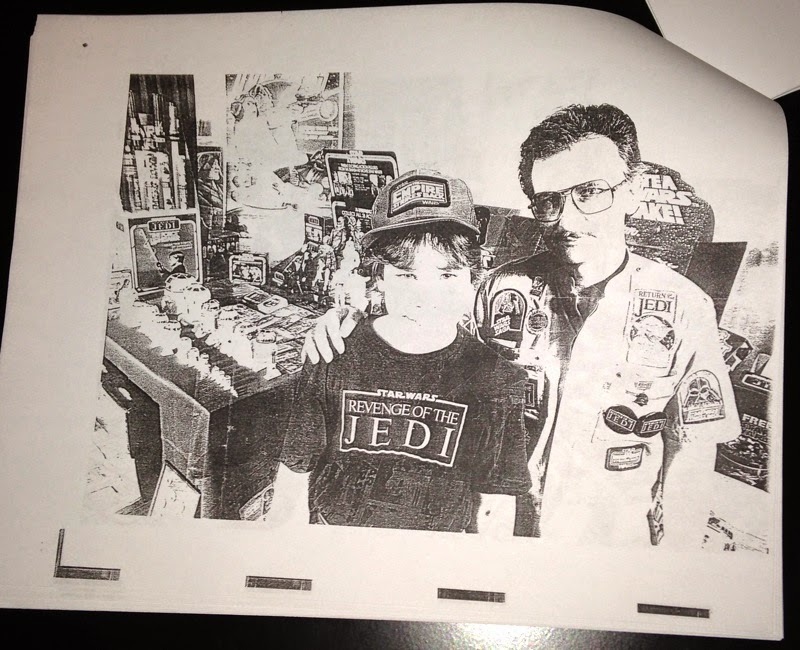 There are quite a few scanned pages from early catalogs still up and running in the Toy Fair and Dealer Catalogs section maintained by Chris Georgoulias. The market continues to deliver a decent level of stock. 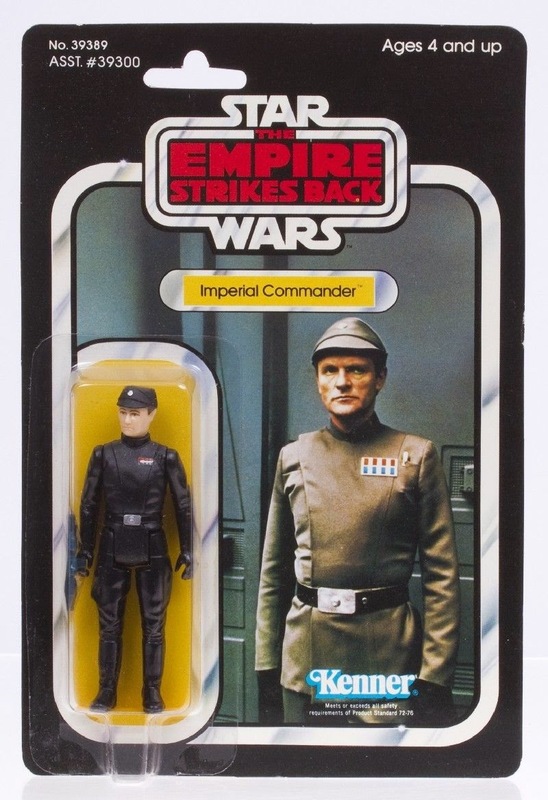 It's probably not too big a surprise that quite a few Imperial Commander figures survived as MOC's over the years. 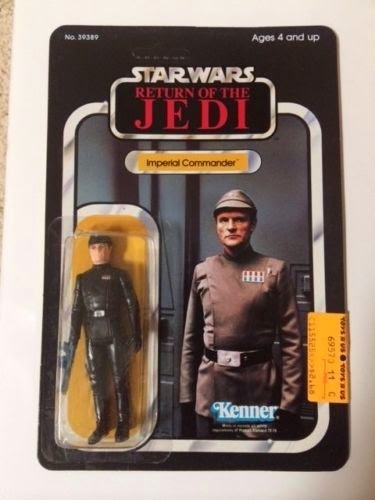 I can just see these having been purchased and then sitting in parent's cupboards, probably not too many kids 'nagging' for that Imperial Commander figure. As always happens, when you look over 15-25 MOC's of the same figure you grow a little fondness for the thing. Which to me, goes back to the simplicity and effectiveness of the packaging. It really was a beautiful design and it seems no matter which figure and colour background they used, the figure/cardback looks great. In summary, there was a great assortment on sale in recent months. I was able to almost compile a full run of card backs. The ungraded MOCs went really cheaply, well under $50 for quite a few. Graded examples had a large premium, with one AFA85 fetching close to $300 for his debut card. Interestingly, quite a few beater MOCs sold, one for $22 and another for $14 (though he had the bubble crack on it's way to AFA). And a Mexican cardback as well. And lastly I found a proof (Revenge) which went for $625. Must say I'd prefer to have saved the $90 price differential and have purchased the ungraded MOC. I also think it looks better - without the TrU price sticker. 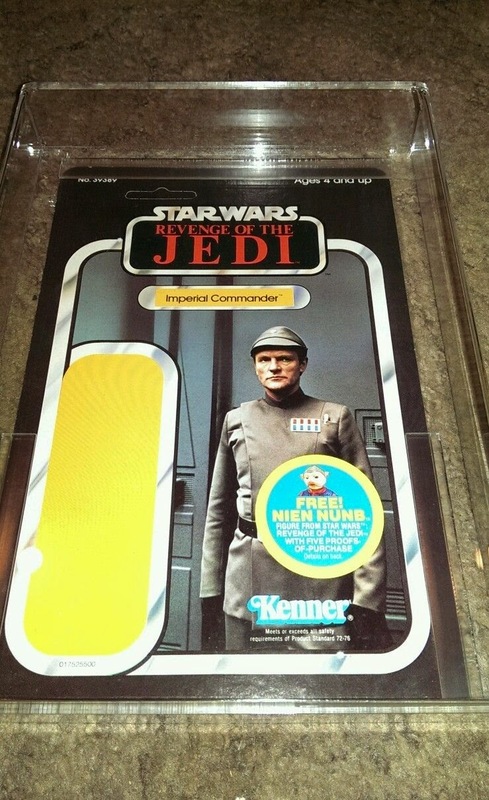 So another good load of data...it's quite satisfying when I can find close to all the Kenner cardbacks for a character. The foreign items and the proof were also nice to have found - $620 doesn't sound too bad for a proof considering where the market is on pre-production items at the moment. 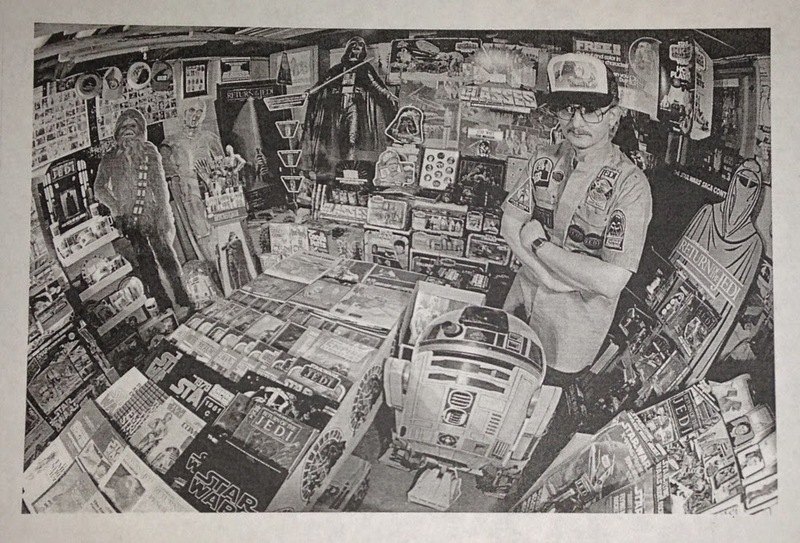 Contemporary Star Wars collectors often approach the hobby as though it started in the '90s. After all, that's when the people who had started buying Star Wars merch as kids reached adulthood and became formal collectors. But there have been adult collectors since the '70s. Most of them are no longer active, but their efforts in the years immediately surrounding the release of the original movies are what laid the groundwork for all the nerdery that came afterwards. I looked at first-wave collectors in this post, which examined some old collecting publications put out by TKRP. In that post I promised to devote some time to Walter Stuben, the king of '80s collectors. I intend to do that here. 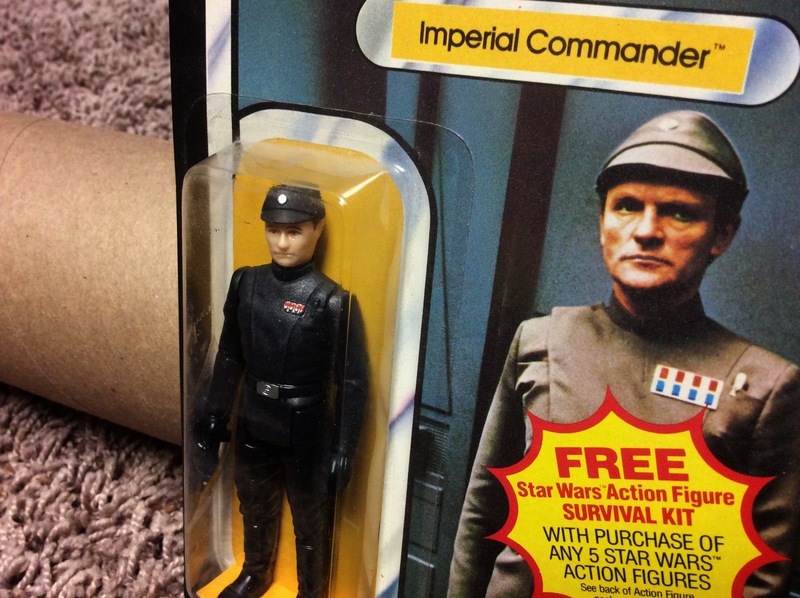 This post will spotlight some press-kit materials related to Stuben's 1984 appearance at Toy Fair in New York City. I first heard of Stuben from a first-wave collector who lived in my area. 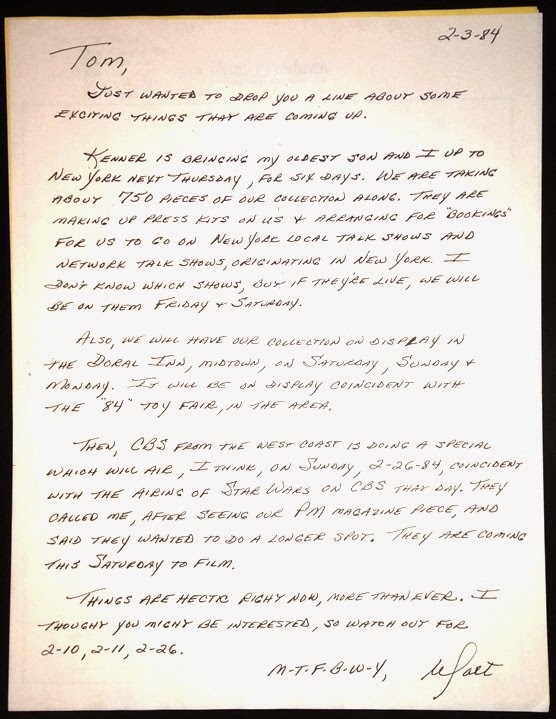 He referred to Stuben as the biggest and most famous collector of the '80s -- a sort of proto Steve Sansweet. (Of course, the real Steve Sansweet was actively collecting throughout the '80s, though he hadn't yet captured the title of Collecting Big Kahuna.) He said he'd even been on television in a special segment that ran prior to an airing of Star Wars. This piqued my interest, as did Stuben's ads in some old issues of TKRP Collector Connection that I happened to come across. 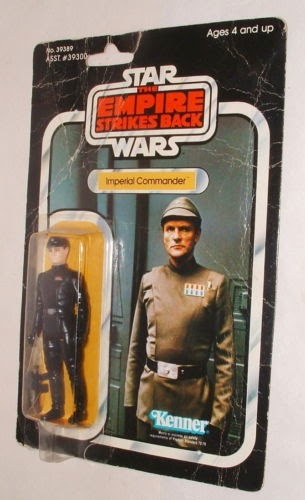 How interesting, I thought, that no one in my collecting circle seemed aware of this guy. Fast-forward 10 or so years. Somehow I came into possession of a cache of material relating to Stuben; I believe it was assembled by Tom Kennedy of TKRP fame. 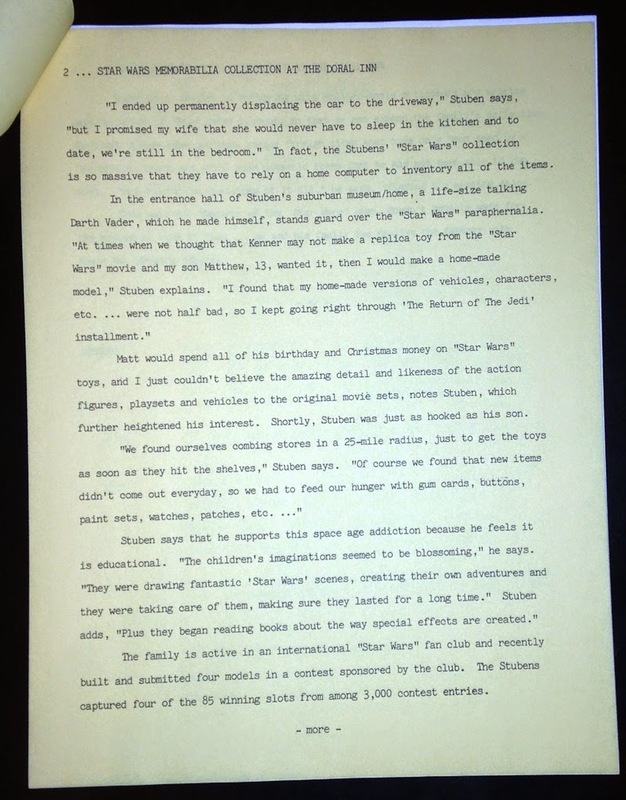 It consists of photocopies of correspondence between Kennedy and Stuben, as well as documents pulled from what looks like a press-kit related to Stuben's appearance at Toy Fair. 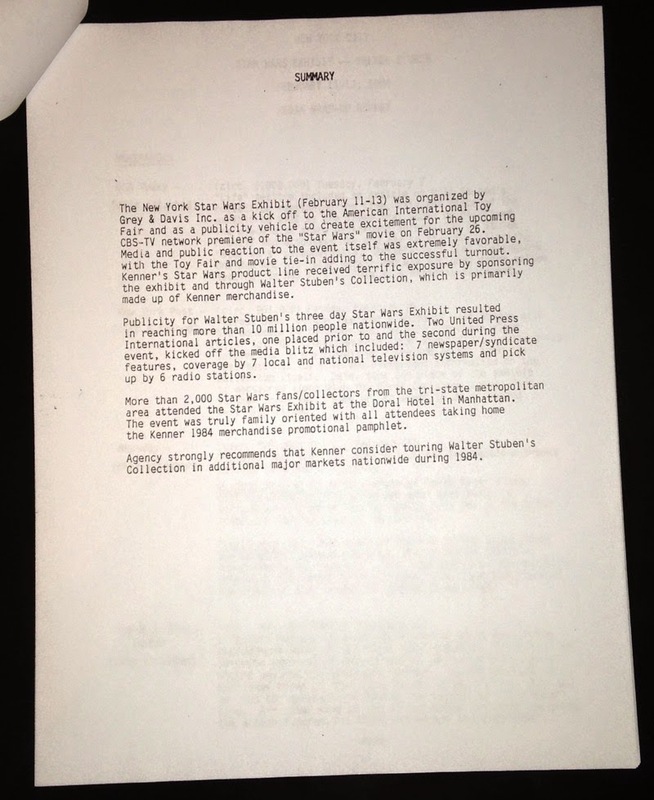 Above you see a letter that Stuben sent Kennedy regarding what must have been a whirlwind tour of NYC, one filled with media appearances and high-level collection showboating. 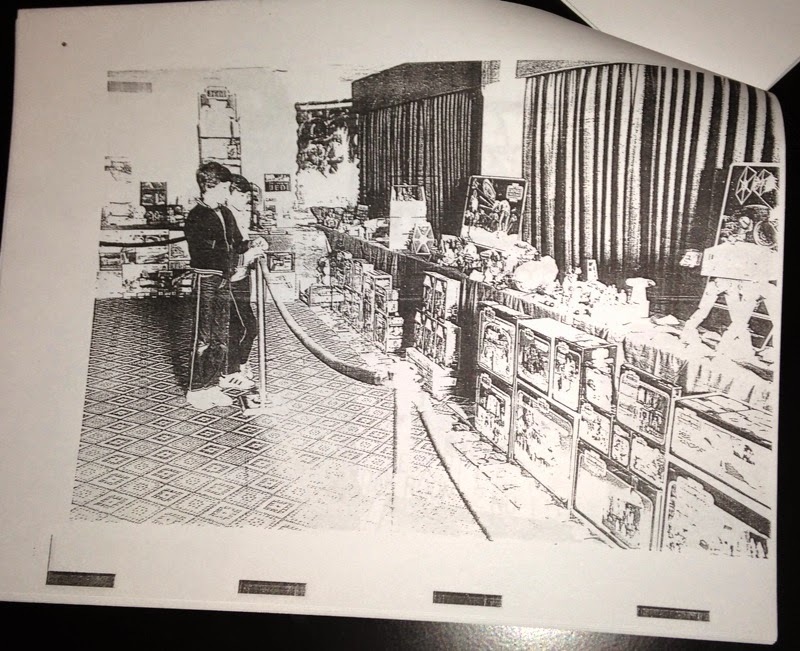 In 1984 Kenner decided to fold Stuben and his massive collection into their promotional plans. They brought him to New York for Toy Fair and helped bring media attention to his collecting activities. 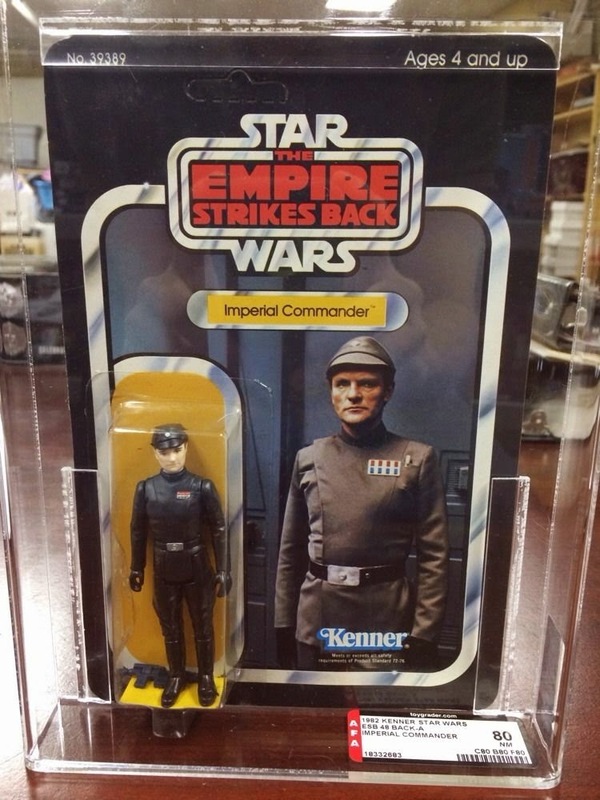 It was a big year for Kenner. Star Wars movies were now a thing of the past, and the company had a lot of competition on the boys toys front, issues I discussed back here. 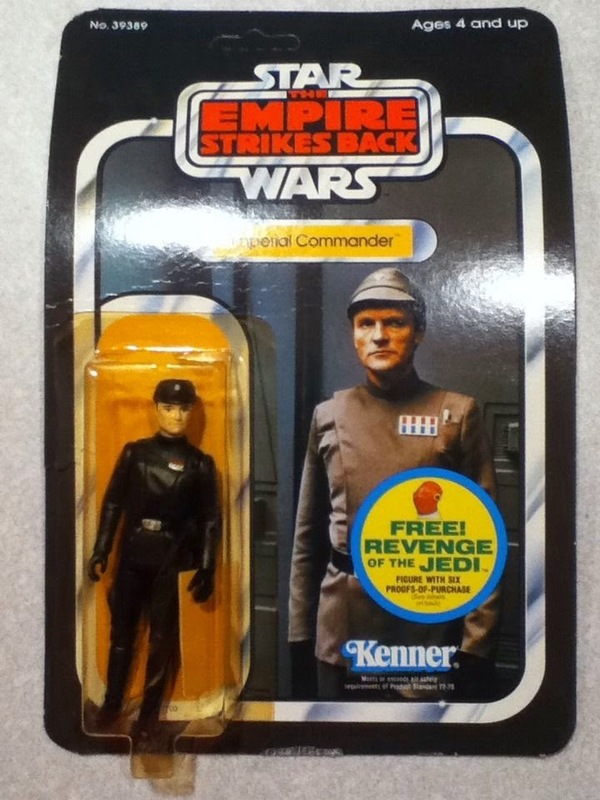 Kenner must have seen Stuben as a means of keeping Star Wars -- and Kenner product -- in the public's view. 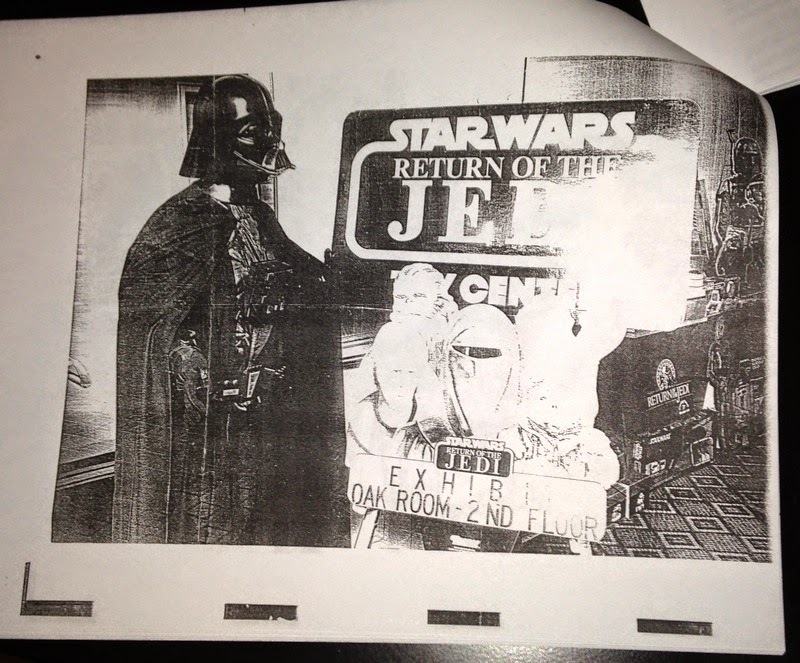 Above you see the first page of a press release from an advertising agency working on behalf of Kenner. Here's a newspaper clipping. I like how it treats Stuben's claim that his collection represents an "investment" for his children as being somewhat dubious. 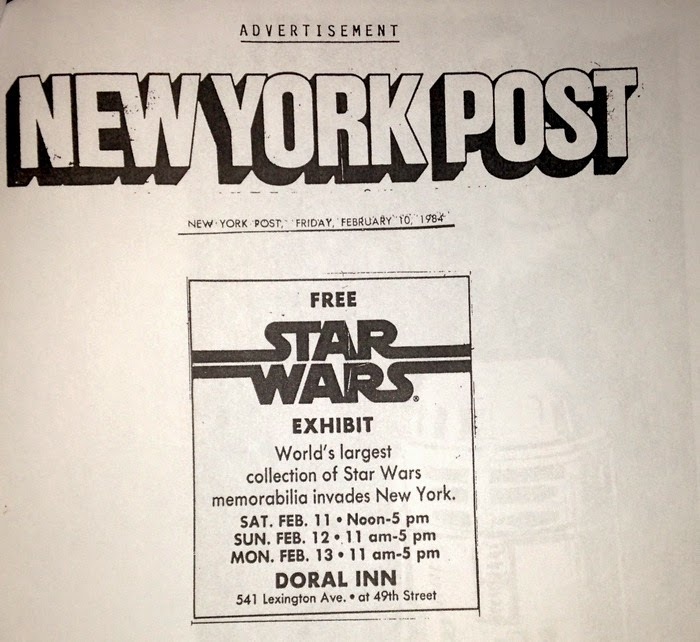 An ad for the Toy Fair exhibit from the New York Post. The ad agency's summary of media coverage. 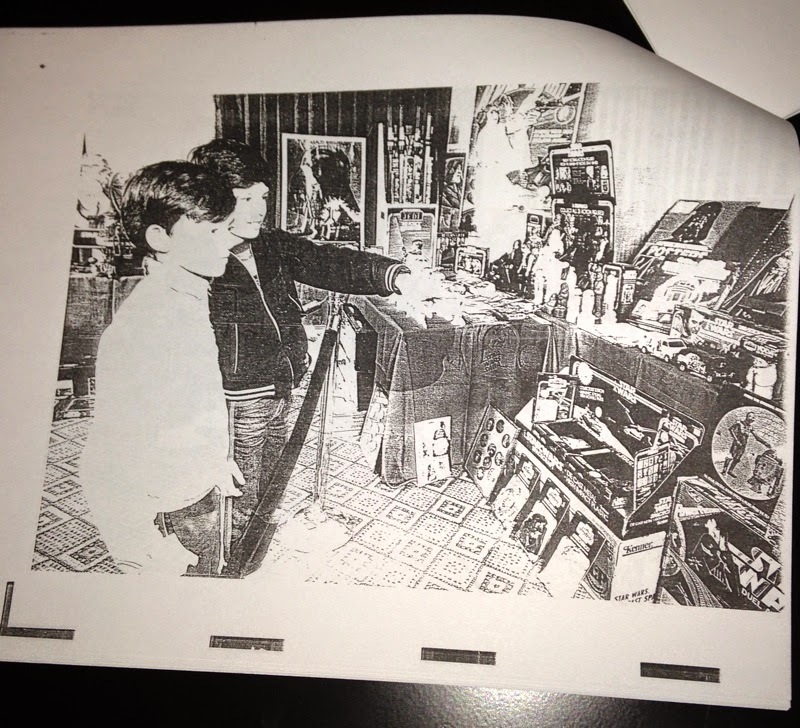 Finally, below are some images showing Stuben and his son tending to their exhibit, which took place over three days at the Doral Inn in Manhattan. They look like publicity stills that have been photocopied by the ad agency. Hopefully none of the packages got dinged during the event. Today you wouldn't think of attempting something like this without first encasing all the good stuff in about seven layers of bulletproof acrylic. 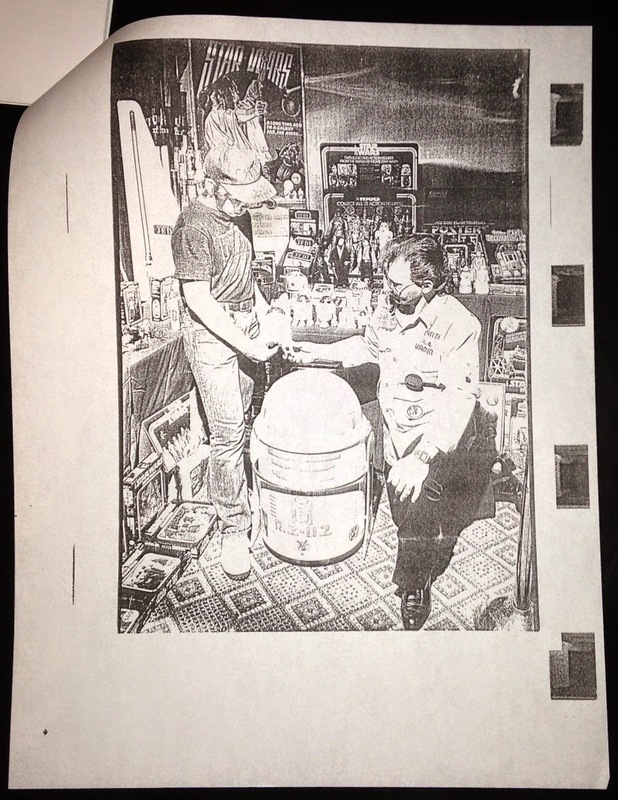 I hope you've enjoyed this look at a forgotten piece of Star Wars collecting history. If anyone has a video of the Stuben segment that aired before Star Wars in 1984, I'd love to see it! But before I close this post out, I'd like to share two Stuben-related stories. 1) When I was a kid my parents and I attended a New Year's Eve festival at Bear Mountain State Park in New York. During the festivities I recall hearing a PA announcement promoting the chance to see a collection of [drumroll] . 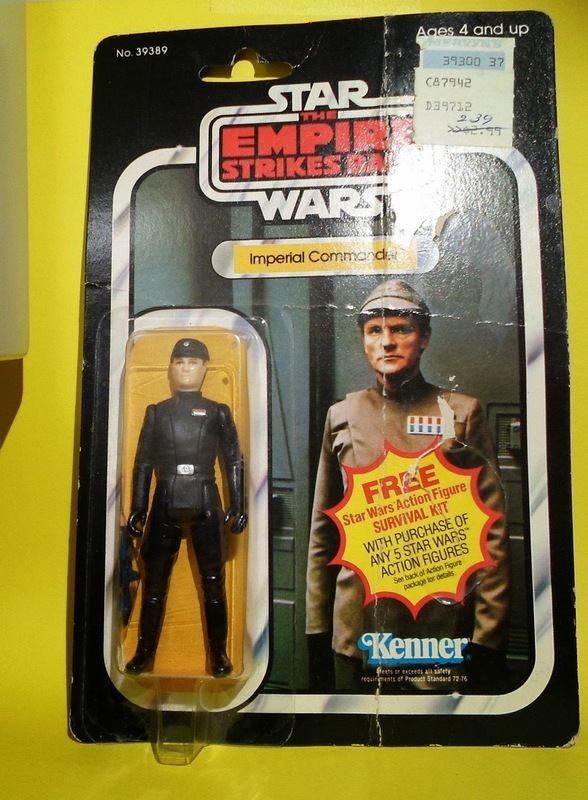 . . every Kenner Star Wars toy ever released. 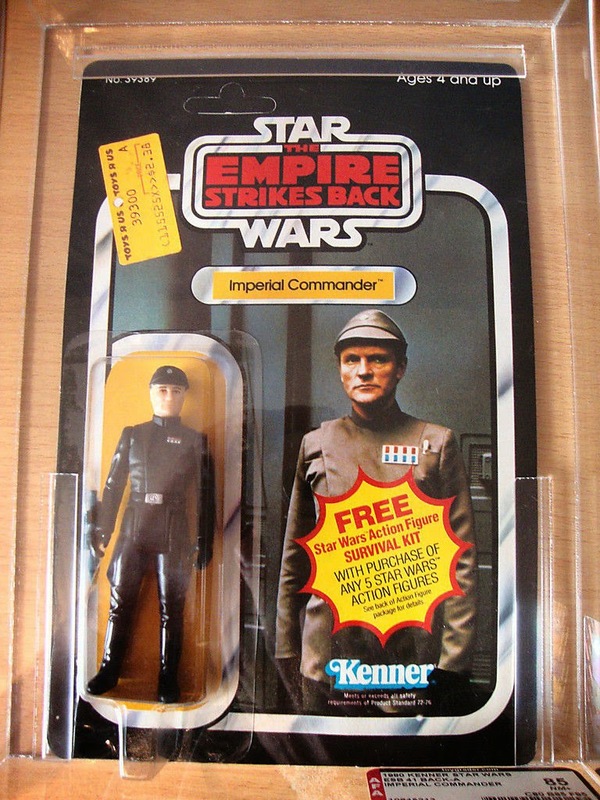 Being an eight-year-old lover of Kenner Star Wars toys, I bothered my mother throughout the event. I simply had to see this! My mother is a crafty woman: She claimed I imagined the announcement. Anyway, as a kid I figured the collection was on site at Bear Mountain. 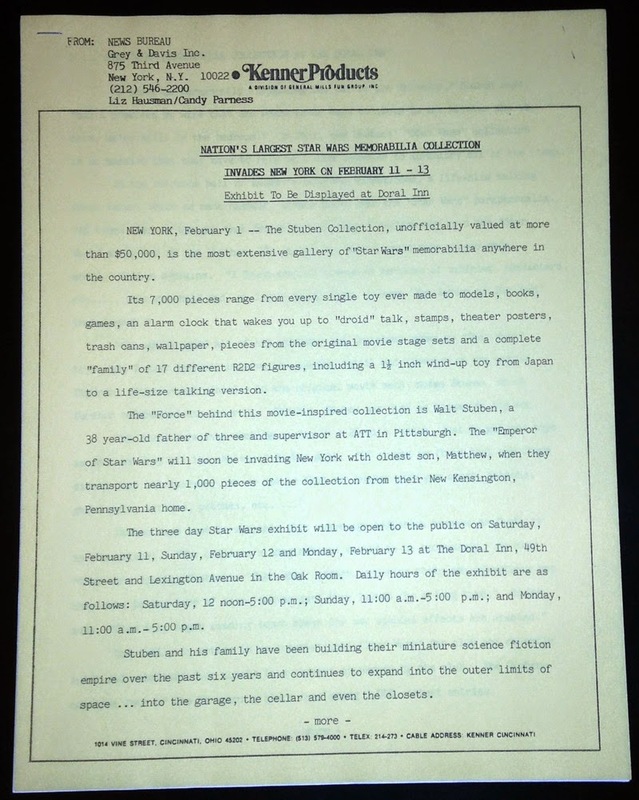 But 12 or 13 years later, upon learning about Stuben and his Toy Fair exhibit, I developed the belief that the "collection" of the PA announcement was Stuben's show at the Doral Inn, which took place a little over a month after December 31, 1983. 2) In the late '90s I was selling some custom figures on eBay, and I was shocked to learn that one of my buyers was none other than Walter Stuben. He was tickled to learn that I knew of him, and we chatted for a bit via email. He told me he'd stopped collecting in an organized way, but that he still occasionally bought things that caught his interest. I put him touch with some old-school collectors with whom he'd fallen out of touch. He seemed like a really nice guy. Traveling to a galaxy far far away with passports began as far back as 1980. Here's a brief history of collectible Star Wars passports. 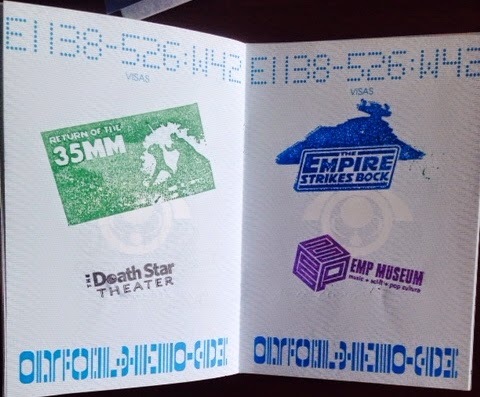 The first intergalactic passport from 1980 granted access to visitors, press, and crew to the set of The Empire Strikes Back during filming. The book is bound in a hardcover cloth with a silver foil stamped logo and has a sewn in binding with 8 pages. 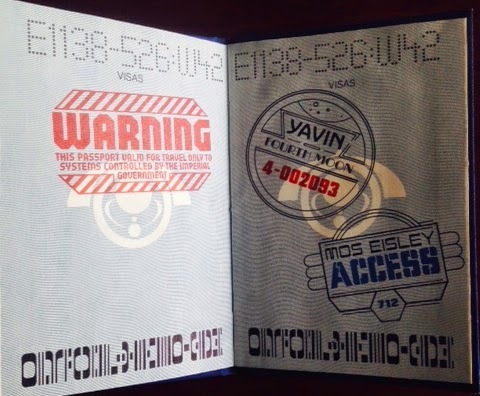 The visa stamps shown below were printed in all of the books. These printed stamps include such unique destinations as Utapau. Passports with actual stamps in addition to the printed ones meant that they were used for set visits. Stamped passports are harder to find. Ballentine Books published the Star Wars Intergalactic Passport in 1983. This book was made available in stores and included printed visa stamps in the back that could be cut out and glued into the pages. Wizards of the Coast revived the intergalactic passport at GenCon in 2000. 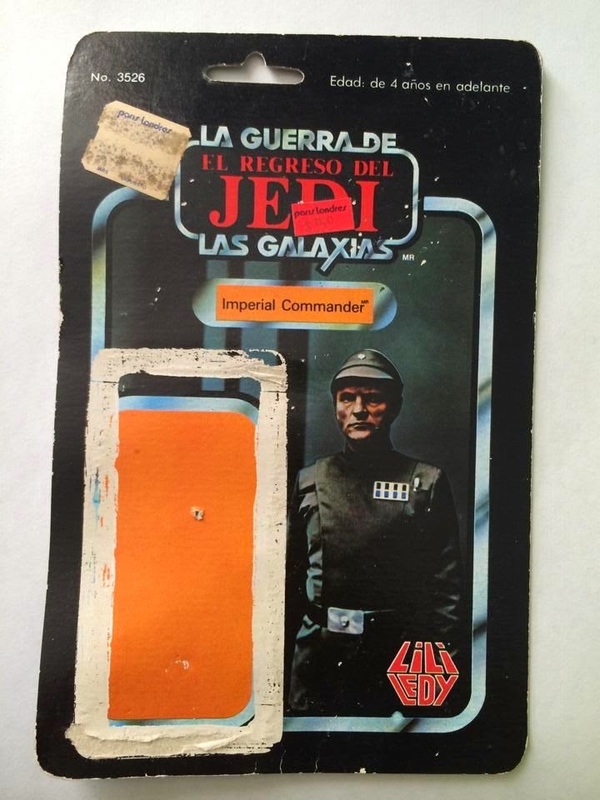 The logo from 1980 was used for the cover. 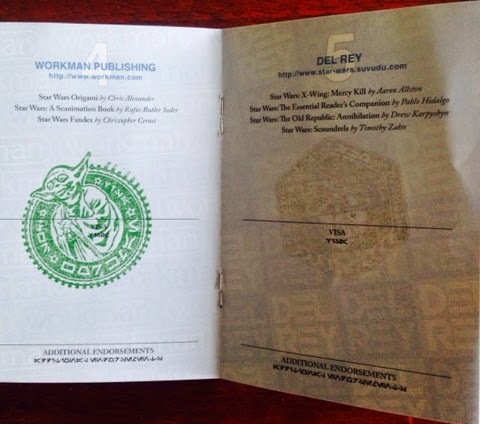 Attendees to GenCon could use this passport as a ticket to win a prize package of Star Wars Wizards of the Coast miniatures. In 2007 at Star Wars Celebration IV in Los Angeles, passports were handed out for the Kessel Run. The Kessel Run was a scavenger hunt held during the convention. Participants could gather stamps in their books in exchange for answers to clues. 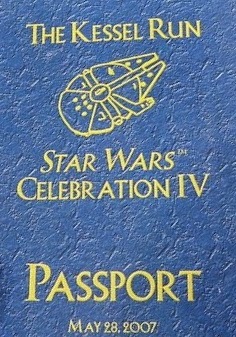 Attendees at Celebration Europe in 2007 were offered a 1980 style intergalactic passport. Recipients were given 10 clues to collect 10 stamps at different licensee booths. Unlike the cast and crew passport, this version featured a staple binding, a card stock cover with a black background, and printed stamps from the original were replaced with actual stamps that could be collected. 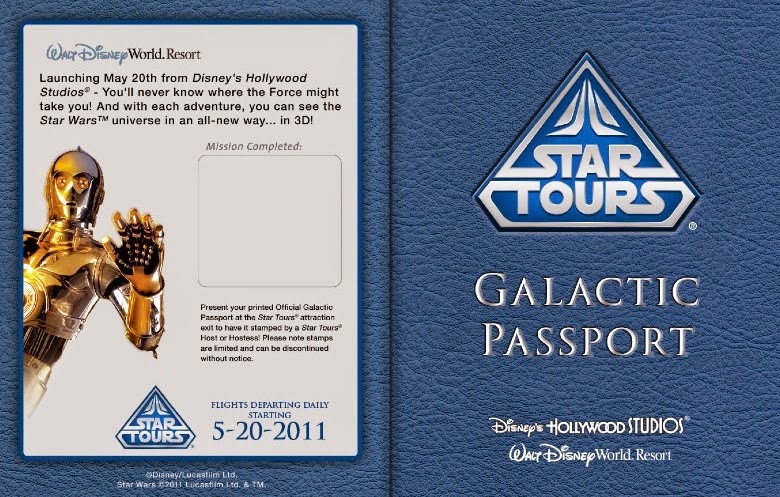 When Star Tours reopened in 2011, StarToursPassport.com allowed visitors to print off their own galactic passports. In place of stamps, visitors to the park could cross off the planets they visited from a checklist to keep track of all of the variations to the ride they had seen. This passport is no longer available online. 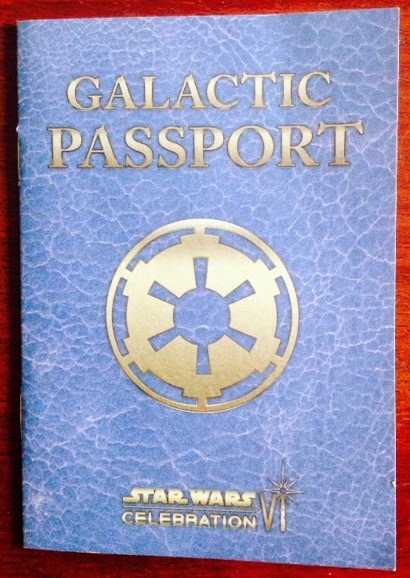 At Celebration 6 in Orlando in 2012, Lucasfilm once again handed out galactic passports. Like the Celebration Europe passport, fans could take the book to various licensees and vendors in the exhibit hall to collect stamps. The most recent iteration of the intergalactic passport was made by Seattle Star Wars collectors. 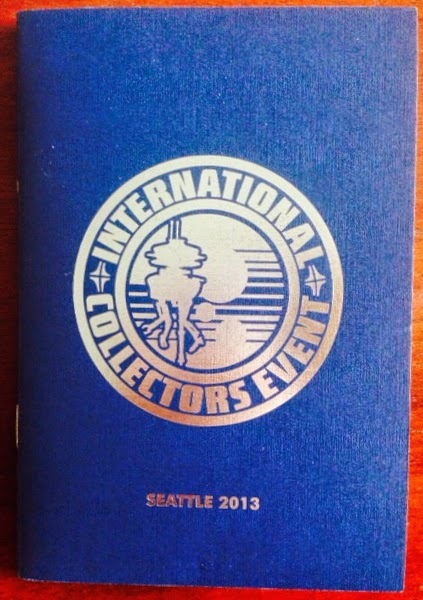 The event was ICE (International Collectors Event) held in Seattle in 2013. 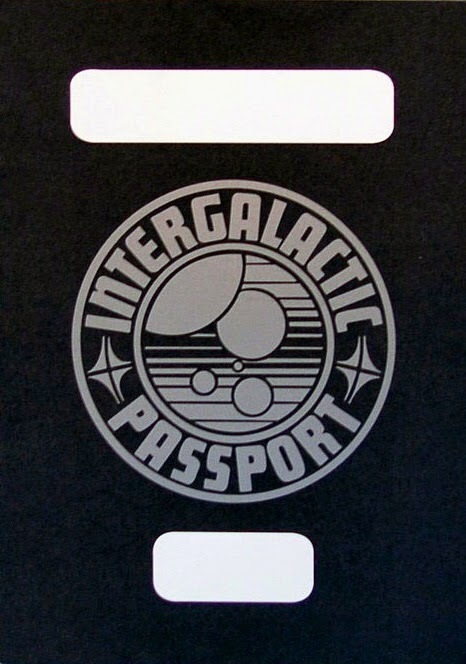 The passport was designed to pay homage to the original intergalactic passport. The cover had a cloth textured card stock paper and the silver foil stamp on the cover included the ICE logo, a probe droid / Space Needle mash-up. Inside, the passport was staple bound with 8 pages. Attendees could collect stamps for each event and party during the weekend. 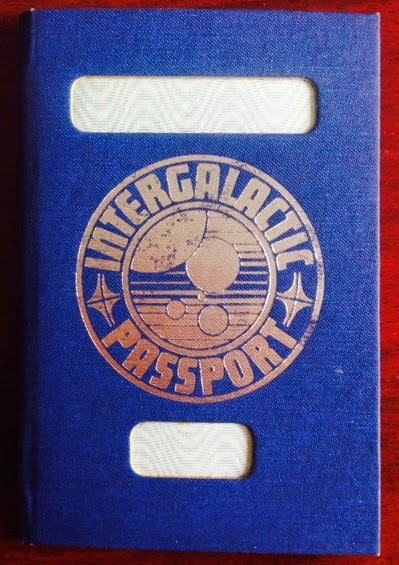 Unlike the original intergalactic passports, unstamped copies are extremely rare. Current economic outlook. The economy in the United States (Still the predominant market for Vintage globally) is doing well, markets are still strong and thus discretionary income is strong, this is one of the key indicators of continued appreciation of items in value. New media. There’s supposedly another movie in the works, who knew (J/K)? Well with that due to come out in a year it will build excitement for the brand and the ancillary hobbies and items associated with the franchise. This should continue as long as the buzz around the new movie is still positive, even if there are people on strike from buying, i.e. a random group of people from RS. General growth in all things old. Whether it’s American Pickers or Pawn Stars, collectibles are still hot areas of growth due to the continued presence on TV. All these things combine to create a very strong petri dish for the market to flourish. In fact, if you’re on the fence about selling, it might be a great time to dump some extra pieces on the market this year. Top dollar is being paid and given the factors I mentioned above it will probably stay that way for the short-term and more than likely the long-term. Any-who, onto the MarketWatch General update. We have 7 auctions to talk about this month, some random, some rare, all cool in their own way. Let’s take a Luke at what we have, I mean a “look” at what we have, well let’s just start by looking at Luke. Okay people, we have the mother of all proof cards this month. It’s hard to say that one image from the Vintage line is more synonymous with the hobby then any other, as all have a special connection with the collecting community, and those that experienced this line at large. 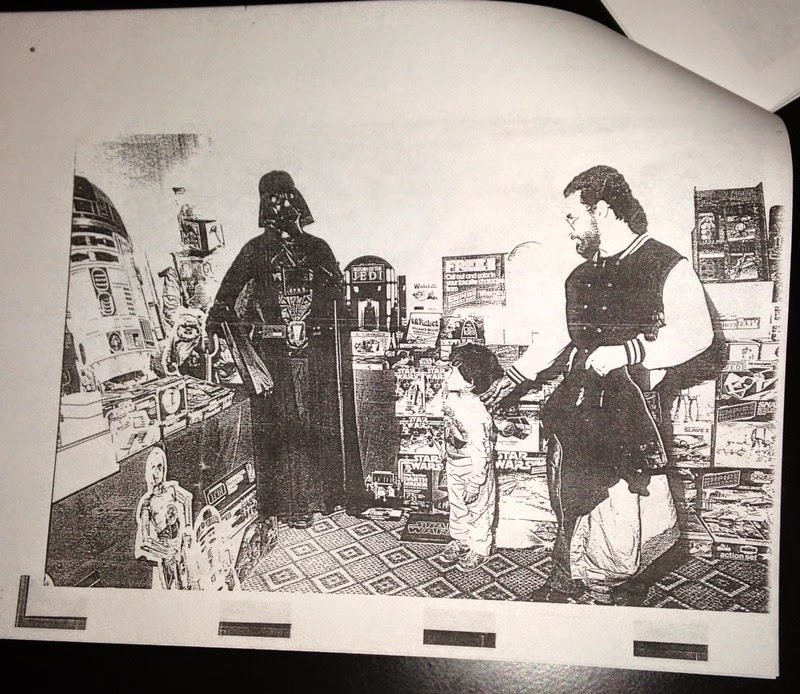 However I’m going out on a limb and say the Luke Skywalker original artwork for the 12 back could be that one image that is more recognizable to anyone then any other image from the line. Carried across all three movies it had a lot of impressions with the youth of that generation as it was on store shelves for nearly 7 years. In the end when you look back at the time, Luke was the key star of the movies, he was the hero in a time before anti-heroes became the real heroes of the movie. So when the proof card for the 12A Luke Skywalker comes on the market, everyone should take notice as this truly is a rarity to see surface in a day and age when there is such minimal trading of 12 back proofs. How rare you might ask, well it might surprise you that 4 of these have been graded to date, with a total of 6 other characters having 12 Back A proofs graded as well. So although this isn’t one of kind it’s truly in the minority of proof cards when you think there’s 2500+ Revenge proofs and over 1500+ Empire Proofs out in the market. Given the iconic aspects of this piece it’s easy to see why a large price-tag would be attached to the item. And unlike most items on the MarketWatch this went into the high atmosphere garnering a 5-digit price of just over $10,000. As Michael Fassbender once said, "I don’t know Karate, but I know Karazee"…and although this isn’t really that crazy given the context of the piece, it’s still the price of car for a piece of cardboard and that boggles the mind of 99% of the population. Moving on in our review we have a very simple question: what’s better than getting to talk about a Glasslite auction? Getting to talk about two of them which featured multiple items in each auction! First off we have a grouping of boxed vehicles from the line. All of which are sealed and graded by AFA. I’ve always been fond of this line as some of the artwork is really detailed and reminiscent of some of the unused concepts for the POTF line as well as the production pieces from that line and the Droids series. Glasslite vehicles command a premium on their own but having three vehicles is quite a sight. The second set of Glasslite ttems is quite a great run. Not only do you have a sampling of loose figures including some great unique releases from the Glasslite line, but you have some small vehicles, and of course the quintessential piece from the Glasslite series -- Vlix! Not only do we have some unique figures to the Glasslite release like the aforementioned Vlix, as well as the matte version of C-3PO. In addition you have a great sampling of the Glasslite made versions of the domestic release figures. Throw in a pair of the Droids release small vehicles and you have a mega lot of Brazilian goodness. Keeping with the foreign theme we have a great example of an R2-D2 on a Meccano square cardback. The Meccano line is a favorite of many long time collectors as well as those new to the game. The cardbacks are very vivid and feature unique takes on artwork as well as aesthetics given the unique shape of the cardbacks. 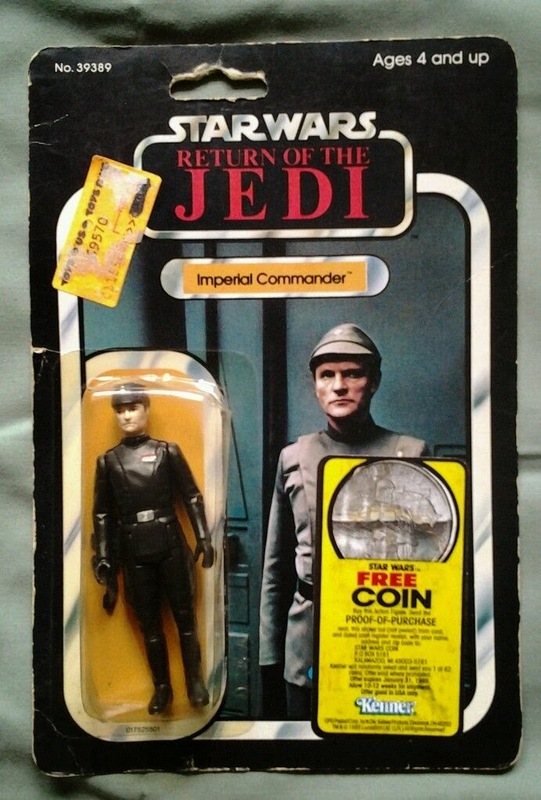 This piece was particularly pricey even for a Meccano figure as similar items have gone for substantially less in the last year, but if you’re in the market for a piece like this you better jump on it while you can, as there are only a handful out there. With November focus on the 'Chive Cast we saw a lot of time spent on the Armored Dog Driver known as the AT-AT Driver. One particular piece that "Brisbane Brisbane" Mike was able to find was the POTF MOC figure of the AT-AT Driver -- quite a rare piece. Then with our Gifts Under a $1,000 update from December we saw a steal of a deal on a Gamorrean Guard, the 2nd of the 3 extremely rare ROTJ figures to be found on POTF cardbacks. This month we follow suit with another of the super rare POTF figures -- Nikto. Like the POTF AT-AT Driver, Nikto went for big bucks, and was fairly in line with other examples that have come up on the market in the past few years. 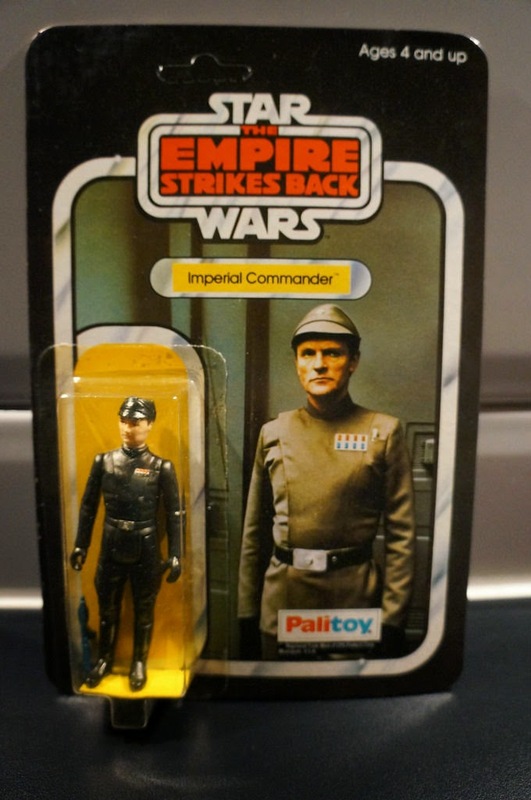 These continue to appreciate in value and are key items for POTF focus collectors and those just looking for something rare from the production run. At one point in time we said we would never cover these pieces Well call me a liar but when I saw an Early Bird set come up and sell for $5K+ my interest was piqued. Here we have a great example of a graded set of the figures. I always say AFA is for those that want it and it doesn’t always make sense, but with mailers I’m 100% convinced that AFA enhances the visibility and appearance of any set. In the case of the Early Bird set it’s even more enhanced given the number of pieces involved. Rounding out our coverage for this month is a line that we started off with last month that's always a hot topic: the Uzay line. Instead of having figures this month we have one of hte very rare mini-rigs that is MIB. 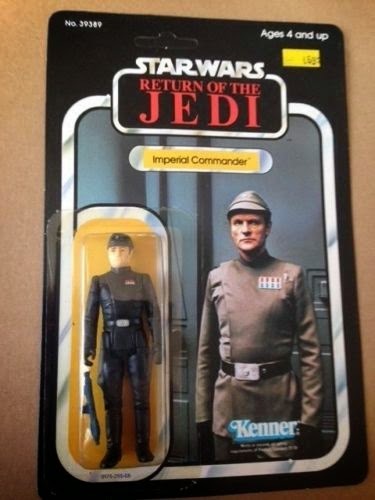 Much like their brethren in the MOC line, the boxed Uzay items have their own campy and outdated charm. They don’t feature HP calculators, and use similar imagery to the domestic production line. However they aesthetically are a mess. 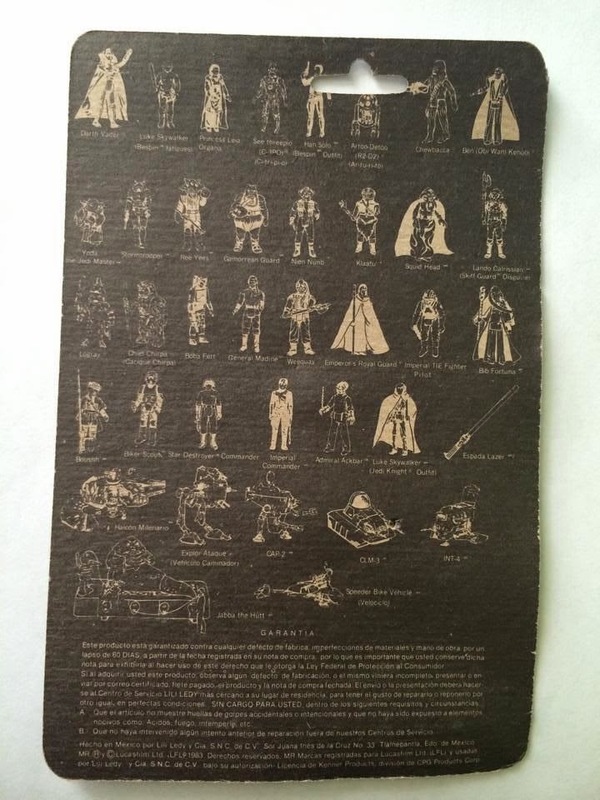 With print quality that looks like it was done on someone’s Commodore 64, they have a unique type of charm, and are truly in a class of their own. The SWCA dot com for other great blog updates from a galaxy far, far away.